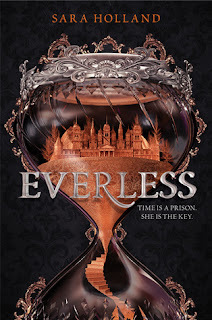 Everless was one of those novels that just totally sucked me in from the first page. It was fast paced and intriguing from the first page to the very last. I loved the plot and world building and the characters were all incredibly unique. I liked that I couldn't guess what they would do next. It is always a little boring when you know what decisions the characters will make before they make them, but this wasn't the case with Holland's characters in Everless. Jules was such a strong and ambitious character, and I loved that she was willing to sacrifice herself and her own wants and needs for the needs of her friends and those that she loved. The pacing of the story was probably my favorite part. Holland's writing was beautiful and the pace of the novel continued to build and build until the very last page. Everless was hands down my favorite read of the year. It was entertaining, fast paced, and there were even a few twists at the end that left me hanging. I would highly recommend this novel to readers who enjoy fantasy YA novels. A big thank you to HarperTeen and Booksparks for sending an ARC in exchange for an honest review.